For 25 years the PLC Rainer Bartsch GmbH is successfully active on the market and it is led as an owner-managed family business. The managers are themselves actively involved in the day-to-day business, which is highly appreciated by our customers. In our company we suit the action to the word; this is accomplished by means of a stable environment and the quality consciousness of our team. The PLC Rainer Bartsch GmbH – Internationale Spedition was founded in 1991 by Mr Rainer Bartsch. The international haulage company uses its know-how to find the best itinerary to deliver the goods to the customer or shipping agent. 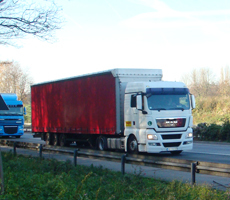 As a haulage company we know the markets, the drawbacks, the costs, the different transport modes (their advantages and disadvantages, their rates/prices) and the necessary transport documents. Besides, we follow the changes in international traffic and inform the shipping agents about new developments. We organize the transport according to the needs at the desired time, from each point of departure to any possible destination. Our company employs the best forwarding specialists having many years of experience in all forwarding related matters. October 1st 1991 by Rainer Bartsch. In 1993 the headquarters in Herzogenrath moved within the same town to the technology park Herzogenrath. Since 2004–2011 transport is organized by dealing in our own name. 2009 Expansion of the activities towards Italy. 2011 Expansion of the activities towards Eastern Europe.